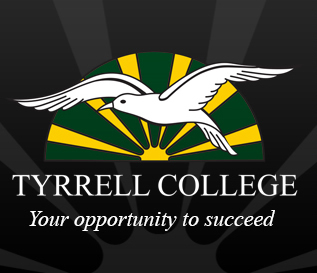 Tyrrell College is a Prep to Year 12 government school, located in Sea Lake. The College offers a wide range of opportunities in an environment that encourages students to seek challenges and continue to learn and contribute beyond schooling. The College is organised on the basis of the following sub-schools: Prep-6 and Years 7-12 however we are a P12 school. Curriculum offered from Prep to Year 12 incorporates the eight learning areas with an emphasis on literacy, numeracy, and an integrated Personal Development program. Year Prep to Year 10 course structures, assessment and reporting practices are modelled on the Victorian Essential Learning Standards with Year 11 and 12 having the option of VCE, VET or VCAL courses. Students participate in an extensive range of cultural, academic and sporting activities including visiting performances, drama workshops, College productions, camps and excursions, public speaking and inter-college sports.